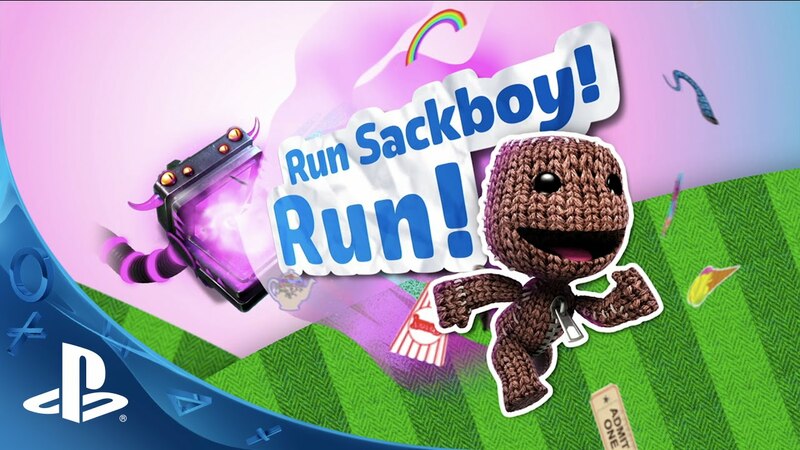 Sackboy scampers back to PS Vita this week with the release of our free-to-play, platform-survival game Run Sackboy! Run! Run Sackboy! Run! 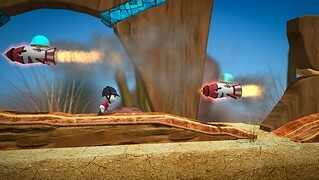 is available today on PS Vita, iOS and Android. 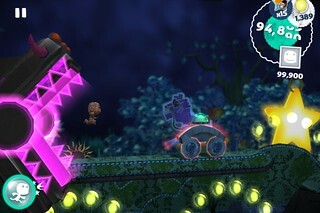 It’s free-to-play, so head on over to PlayStation Store and download it today to begin your race across LittleBigPlanet! 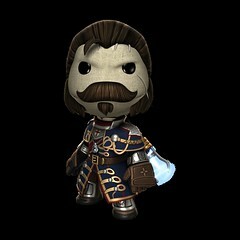 The Order: 1886 arrived last month and to help commemorate this latest addition to the PlayStation family of games, we have collaborated with our good friends at Ready at Dawn and SCE Santa Monica Studio to bring you this rather noble Sir Galahad Costume for Sackboy. 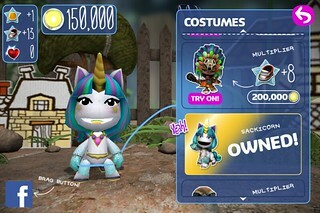 This rather spiffy costume hand-crafted by our finest tailors can be picked up from the Store for $1.99 and will ensure that your Sackpersonage will be able to walk around LittleBigPlanet with an added air of nobility to their presence. 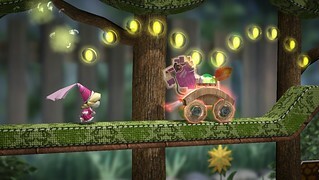 Spring is arriving this week and a new season of creativity will begin for LittleBigPlanet. Since it is the beginning of a new season, we will be re-releasing our traditional FREE Spring Creator Kit that is just full to the brim with wonderfully creative goodies that will really help bring that springtime feeling to your creations. Spring Creator Kit — Available on the Store until Fall/Autumn! We continue to be amazed by your creations and wanted to give an extra special shout-out to our very first Adventure Team Pick! World Map featuring a Town, Guildhall and Dungeons. Lots and Lots of Treasure! So head on over to the LittleBigPlanet 3: Team Picks today, dive into Treasure Hunter by Felkroth and begin your life as a Treasure Hunter! If you have already played this level, why not tell us in the comments below what level your character is and how many Collectabells you possess? We would love to know who is the top Treasure Hunter in the community! Really digging it so far. I just wish it had physical control support. Tapping the touch screen just feels too weird. I got a problem in run sackboy run on the vita. I got all the special 1950’s stickers and I tapped get it to get the pigeon code and nothing happens ? I bought the Free Boost Forever (Add-On) yesterday and today it is like I never bought it. I contacted twice the customer support, and they say: “the currency is sell apart to help you in the game, but is not permanent, in the meantime” or “I can see in my system that you already used the content and there are no remaining uses”. Today I have learned a new meaning for the word Forever. Those item are all time-limited.The boost will expire after its duration has passed. The developer just cut-and-pasted the description from copy written for a ISO platform where the item is permanent, without realizing that the item is licensed differently on the PS Vita (for whatever reason). That what all PlayStation customer support told me. Overall we pay $4.99 a time-limited item on a false advertising/wrong description. Since refund is against their Terms of Service, all sales are final. We got to live with it. Vonrovia, you are absolutely wrong. They are permanent boosters that seem to only be screwed up in the NA version. No other region is experiencing this problem. The boosters on the phone app version were permanent, as well. TheSecretPartner, I understand everything you’re saying but I never said the phone app version weren’t permanent all I said was they cut-and-pasted the description from copy written for a app version where the item IS permanent, WITHOUT realizing that the item is licensed differently on the PS Vita. If you look at the services list on the ps vita it show an expires times for the add-on. As for other region I have no knowledge of that if i’m wrong than i’m wrong. Can you guys add a button control scheme? the touch only controls make the game way harder than it should be. Where is my Double Bubbles add-on?!?!? I bought this and it was working fine until earlier today. I talked to support twice. The first guy told me to uninstall and reinstall and that didn’t work plus I lost all my progress, which the support guy said I wouldn’t . The second guy gave me a number to call that doesn’t work anymore. Any new updates on the forever items “expiration” situation? I read yesterday (forget where) that an update is supposed to come out today fixing the expiration issue for forever items. I hope so since I bought 3 packs that are still expired. I actually haven’y played the game since last weekend since I want to wait for my double bubbles and my free boosts to come back. I just spoke with support about the “forever” items. He (“Balmore”) told me that they are limited and also that all sales are final and I would not be able to get a refund. Without notice, he ended the chat and sent me directly to the survey. Fine Sony , It´s clearly false advertising , I just bought this “forever” pack and I didn´t even worked for me !!! I also lost $5 just because this false advertising of this game !! All right Sony I´ll check the legal means for that !! Or you refund my Money !! I can tell you that I dropped $20 in Run Sackboy! Run! and all the “forever” boost expires. Sad that its ture. I talked to support and they told me that they expire. Even though the item said permanent in the store. Please fix this because when the boosts worked it was so much fun. The problem of the forever items seems solved (at least with the free boost forever). But one of the “solutions” from the customer service when I indicated the problem a couples of weeks ago was to erase the game, then I lost all progress, maybe I will begin again…. I’d like to make a comment agreeing with draddatz. I’m in North America, and I just purchased the “Free Boost” power, and in the services list on both the Sony Entertainment Network Account website and my Vita, it gives no expiration date and no number of limited uses. Looks like the issue has indeed been solved. I bought the Double Bubbles, and it expired after 24 hours. The problem is not completely solved….. If you bought the double bubbles “permanent” pack from the NZ store then under the Consumer Guarantees Act you can demand a refund if you are not getting what you paid for.